Here is what coach Jeff had to say! Also, well done to those who were nominated after an excellent month on and off the field; Audrey Tombeno, Kiley Cook, Jenna Cadieux, Spencer Rushnak, Ava Forbes Smith, Elizabeth Healy, Allison Powderly and Will Roderick. Congratulations to our Player of the Month for October, Laura Farquhar!! 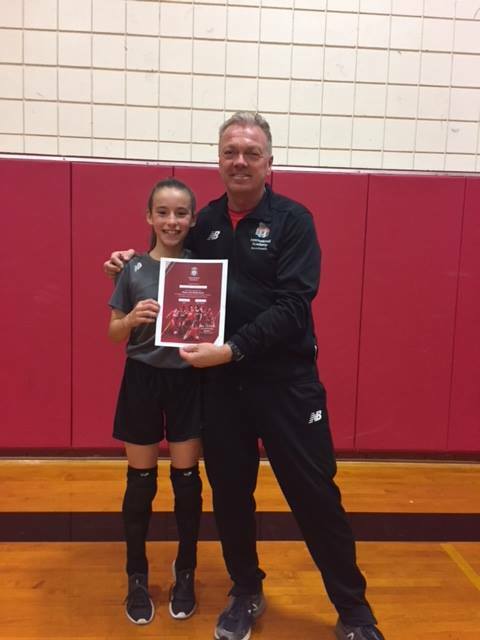 Laura plays for the U13 Girls Connecticut team, and Coach Hollands, and this is what he had to say. 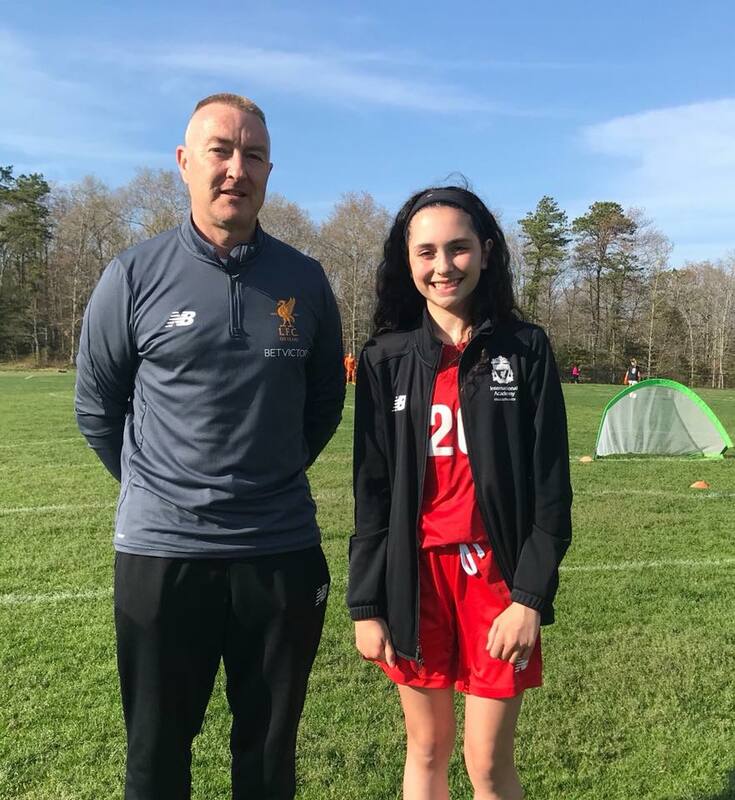 "Our Connecticut teams are all new to the club this fall and it's been a pleasure having them join our Liverpool family. 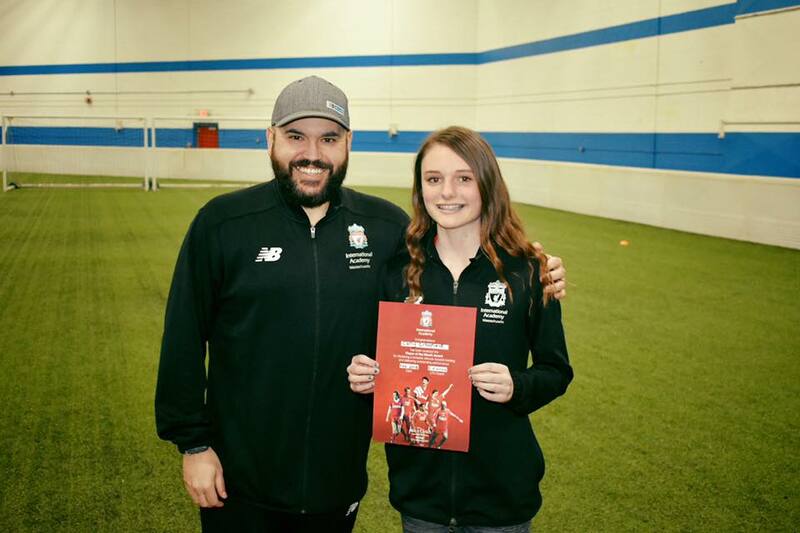 The players have all embraced the 4 core Liverpool values of the Liverpool Way and none more so than Laura Farquhar, who could recite all 4 by the end of our second practice. In addition to being able to recite all four values, Laura has shown Commitment, Ambition, Dignity, and Unity in all aspects of her performance on and off the field. This is particularly evident during the club practice nights when Laura's infectious enthusiasm for the game spreads throughout her teammates and all other players in attendance. 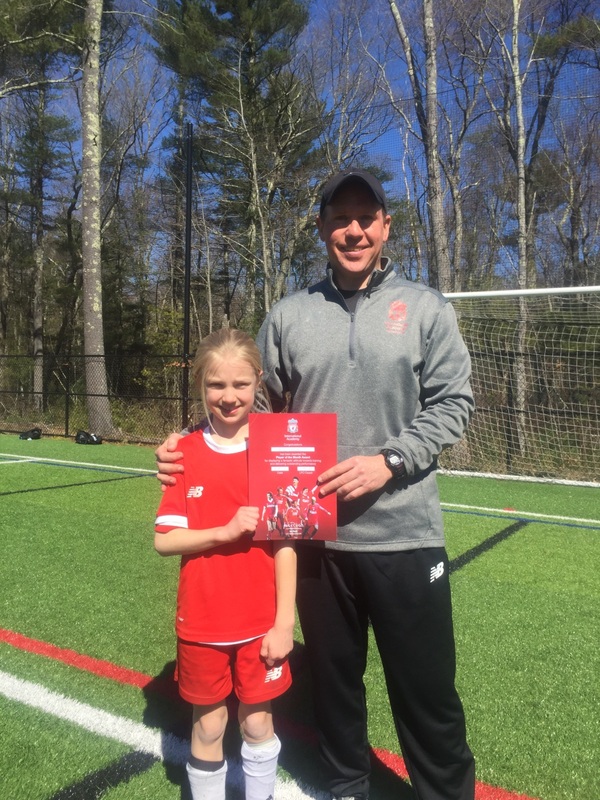 This has helped to create a real sense of Unity among the Connecticut players - whether they are a U9 or a U14 they pull together as a group." Well done Laura!! Also, Congratulations to those nominated for the award; Summer Girard, Edvin Valentukevicius, Nathan Perry, Kaelin Greer, Addison Cheney, Brady Hill, Will Rodrigues and Caroline Auger! Congratulations to our September Player of the Month, Brooklyn Metzler! Here's what her Coach, Chris Green had to say. 'Brooklyn displays all 4 core values that represent the “Liverpool Way”. Her ambition is truly displayed on the pitch, whether it is her dink move to get by her opponent or her game intelligence when shooting on goal (placement in the corner). With 2 older sisters also in the club (Grey & Parker), Brooklyn has been blessed with that competitive nature, having to go against her sisters when practicing at home. On the pitch it’s the same. Brooklyn is well liked by her teammates, as they want her to be on their team at the end of practice SSG’s, which says a lot about respect for her at such a young age. Soccer is a team sport and Brooklyn is the ultimate team player. Very unselfish on the ball. Will take on an opponent, but again shows her game intelligence, as she often passes to teammates that are open and have space. 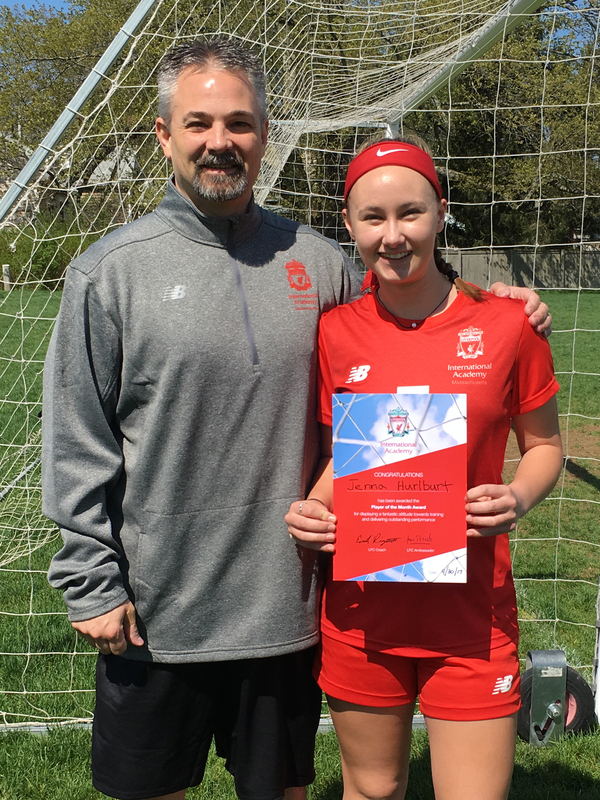 April Player of the Month- Maddelyn Tassinari-G04 Premier 1 Central. Also congratulations to those nominated, Josh Murray, Jasmine Moran, Addison Cheney, Mason Cruza, Kylie Dorsey. Congratulations Gabe. Here is what coach John McCully had to say! "Gabe is the leader of our defensive unit and has been named one of our team captains. During the Jefferson Cup in Virginia, he showed Ambition in his play and performed brilliantly in all 3 of our games. He commands our back line and is always ready to match up with the oppositions top attacking players. 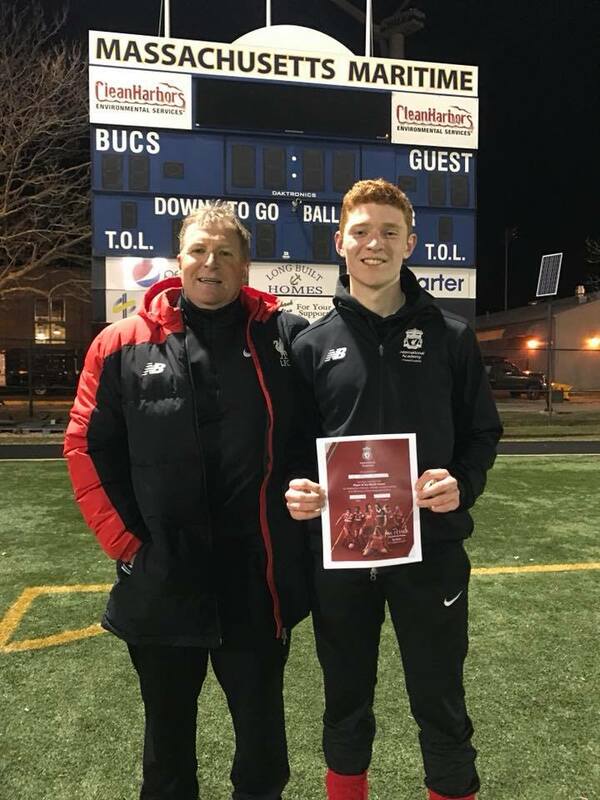 While Gabe is a defensive standout, he is able to get forward on set pieces and was able to find the back of the net at Jeff Cup and get on the score sheet. It is an absolute pleasure to be Gabe's coach and I am excited to see him and his teammates in competitive league play this Spring!" Congrats Gabe. Also well done to all those nominated for March Player of the Month including, Brady Hill, Grace McGettrick, Dylan Ciccone, Riley Reid Davis, Olivia Greiner, Allison Powderly, Kiley Dorsey, Taylor Reed and Jen Wegmen. Congrats to Carly Schofield who is our February Player of the Month! Here's what her coach Greg Visinho had to say, "Carly is a dynamic player who plays every game as hard as she can. It has been so wonderful to see her back on the field! She sustained an injury that has kept her off the soccer field for several months. During this time she has kept a positive attitude, which can be very difficult to do. During her rehab she was at EVERY training session and game. She was so committed not only to her team but to herself and getting back on the field. She supported her teammates all of the time even though it was killing her not to be on the field. She has overcome a lot over these past few months but you wouldn't know it because when she stepped back on the field to play she didn't miss a beat. She was flying around causing defenders all types of problems. She exudes all of the qualities of a Liverpool Player! We are so glad to have her back on the field, working hard, smiling and playing #theliverpoolway"
Alex Phaneuf, Kylie Dorsey, Liam O'Neill, Amanda Dustin, Jackson Veugen, Addison Cheney, Abigail Diamond, Sean Catino, George Baroud and Riley Connors. Well done everyone! January Player of the Month: Hunter Pomella! 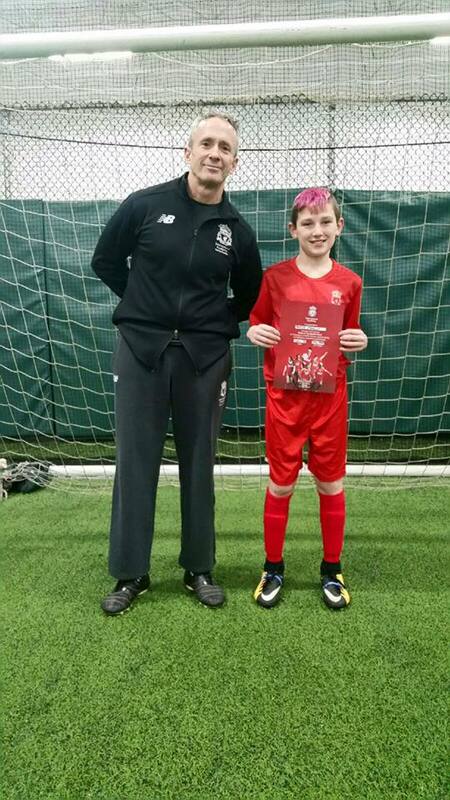 "Hunter is playing up an age level as an '07, and contributes to exemplify all Liverpool core values. He's consistently at practice and serious when he's training, and he applies the things he trained for, to his play on the pitch! In games he will play in any position he is asked to, and when playing as a striker, he makes key plays and decisions on when to pass or shoot, which is key for that position." Congratulations to Player of the Month for December, MacKenzie Ryan!!! 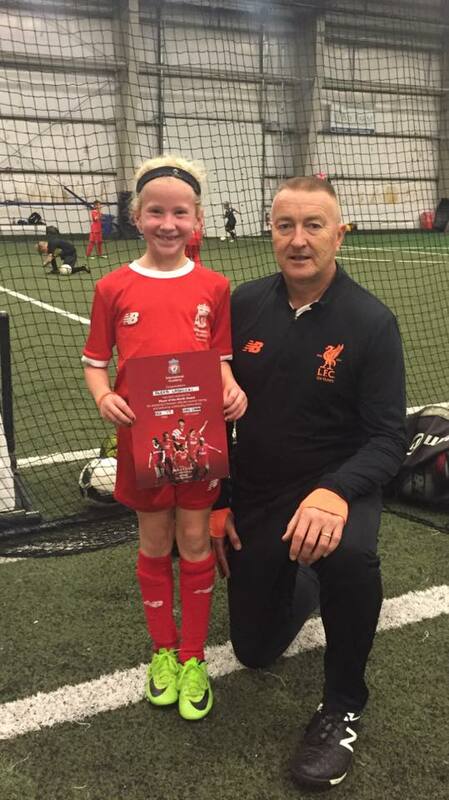 MacKenzie has been a force for the U10s and has been a leader on her team indoors over December as the U10s have been playing up in a U12 division. Coach Jeff Masse said "We have been working on this group becoming a bit more intense and physical, a lot like the LFC team in the EPL and Mack has been setting an example on how it's done. She always plays with her heart and has developed into a tenacious midfielder. She is also a stud in goal, and always has a penalty save in her! She is always looking to improve as a player and takes every opportunity to do so, as she has great ambition and is committed to improving herself as a player!" Congratulations to November Player of the Month Caileigh Driscoll!! 'Coolio' was nominated by Coach Greg Visinho because of her hard work and determination! Coach Visinho had this to say, "She comes across as a very unassuming kid and very quiet but put her in a competitive environment and she shines! What makes her such a special kid is her ability to work for everything that she gets. She is so committed as an athlete and a student. Coolio is also one of the most dignified players I have ever coached. She carries herself with the utmost class and treats teammates, coaches, opponents and officials with the the respect they deserve! She always wants to give her best performance, not for her own satisfaction, but to help her teammates to be successful. I haven't coached many kids like her. 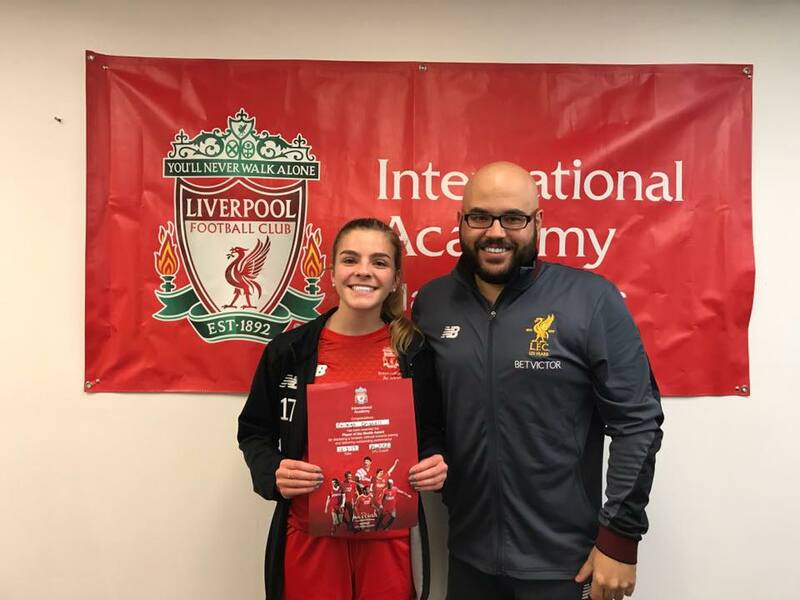 She epitomizes what it means to play "The Liverpool Way" and I can say with pride that it is an absolute pleasure and privilege to coach Coolio!" "Alexa shows all 4 pillars of the Liverpool Way. She is ambitious, committed, dignified and a true teamplayer. Alexa is truly a pleasure to coach. Looking forward to seeing her continued success." 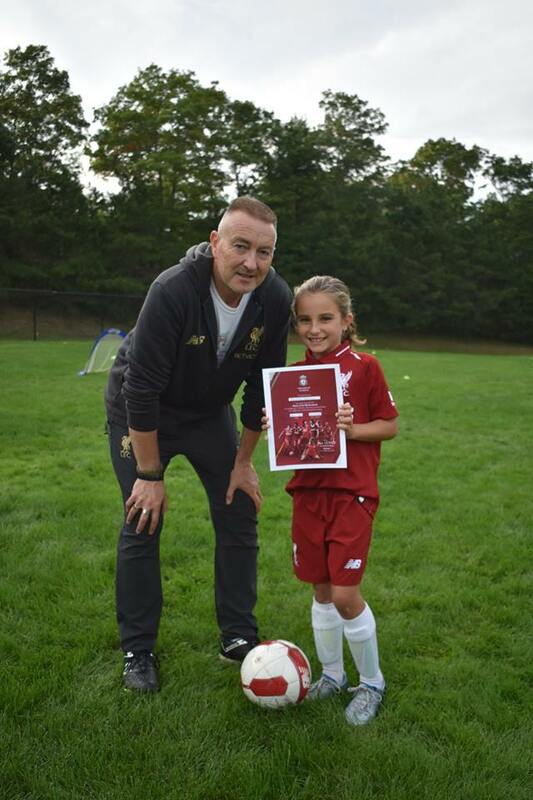 Congratulations to LFC International Academy Massachusetts Player of the Month for September Ben Bass! Ben plays for Coach Scott's boys U12 Premier team. "Ben always looks to play The Liverpool Way. He provides support and encouragement to his teammates both in league play and on the training ground. He is committed to being a leader for our team both physically and verbally. Ben leads by example and has the appropriate tone and delivery in directing his teammates, which is a fantastic quality for a player of his young age. Ben is constantly looking to improve his ability and shows the proper ambition to reach his goals. 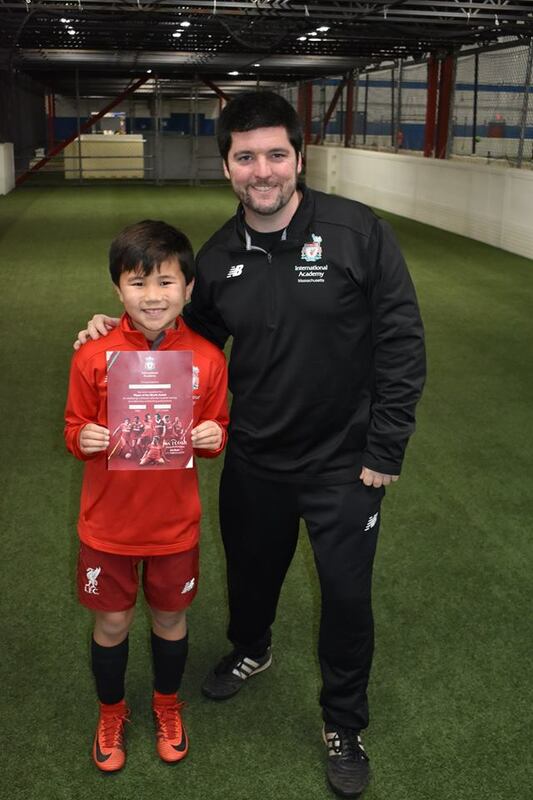 Ben is a pleasure to coach and is a player that is easily recognized by our staff as a Liverpool player." Adzair has played for the club for three years and has shown his commitment and passion through his desire to compete in any and all club activities he can attend. Adzair began with the club as a 6 year old and has attended all of the age group skill sessions as well as played on U7 through U10 competitive teams. He currently plays for the 2009 team and also plays up on the 2008 team on occasion. He is a gentleman who is extremely competitive and his desire to win is infectious to his teammates. Adzair has played against older players for his three years in the club and has proven to be one of the most coachable players in the age group. 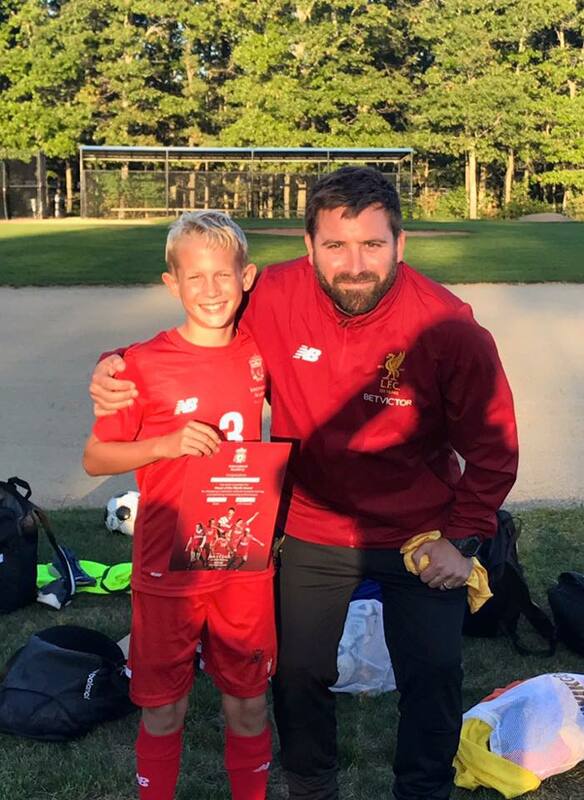 He has chosen Liverpool as his professional club to root for, has a goal to play professionally, and even had a Liverpool FC cake made for his birthday party this spring. His family has made sacrifices so that Adzair can attend trainings in different club locations on as many days as we offer those trainings. We all congratulate Adzair on his selection as our player of the Month, we all know this will only be the beginning of success in the sport he loves. We at LFCIA Massachusetts are thrilled he has chosen to play with our club. "I am nominating Jenna Hurlburt from the U16G Elite 01 team. Jenna is an exceptional field player and her commitment literally has no bounds. Her drive and determination to be a difference maker on the field is apparent each and every time she takes the field. She is always thinking about how she can best support the team and will do whatever it takes to support her teammates. She attends every club event and has clear ambition to continue playing at the next level. Jenna has recently been called up to the U16G NPL 01 team which she fully deserves. Jenna is an absolute pleasure to coach!" We are excited to announce that March's Player of the Month is Aila Chase! Aila's coach, Eric Foley, writes, "Aila has made major strides in her development this winter. She has made a commitment to training both as a goalkeeper and field player. She has put in the time this winter training and it has paid dividends on the field. As a goalkeeper she has been technically sound and fearless in games. It has been awesome to see the gains Aila has made this winter." Howsey epitomizes the values of LFC. She is committed to her teammates and is an important piece in keeping the team a unified group. She carries herself with dignity and plays the game how it should be played. When I think of our 4 core values and who represents them the best, Howsey always comes to mind. I look forward to watching her continued growth as a soccer player and more importantly as a person." 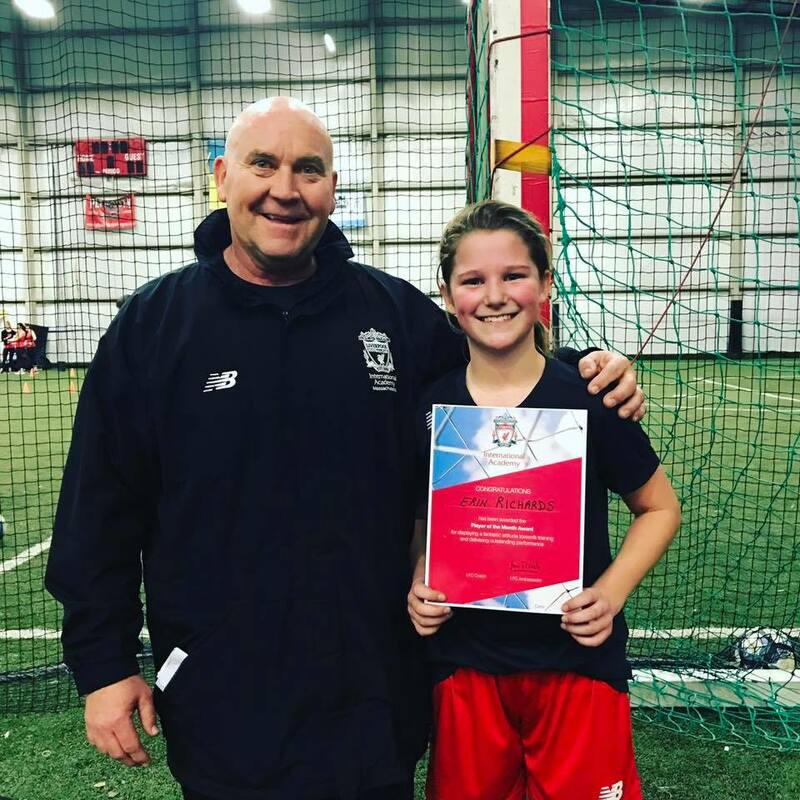 We are excited to announce that January's Player of the Month is Erin Richards of the Girls' 2004 Elite team. 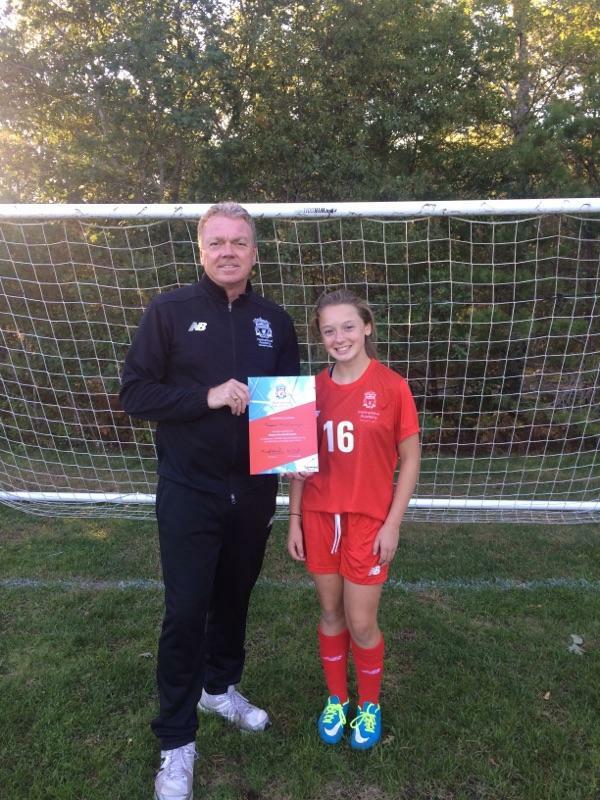 Erin's coach, Tim Dunn, writes, "Erin has attended all training sessions from the beginning of the fall season. She is a great teammate and one of the hardest working players on the team. Erin is very coachable and always does everything with a smile. Teammates love her commitment, drive as well as knowing she is always there in the heat of the battle with them. We are excited to announce that November's Player of the Month is Hunter Schultz. Coach Yonha Adrabi writes: "Hunter embodies what it means to be a leader, a team player and a role model. During games he is wholeheartedly committed to helping his team be successful. Hunter will play any position asked without any resentment. In both training and games, Hunter's ambition is to always improve both as an individual and collectively as a team. He is always at practice and never wants to leave when it's over. During our recent GPS tournament, Hunter wasn't just scoring goals but also providing for others. He is the perfect example of this quote, "It's not the size of the dog in the fight, it's the size of the fight in the dog." His hard work and competitiveness sets the tone for the rest of the team." 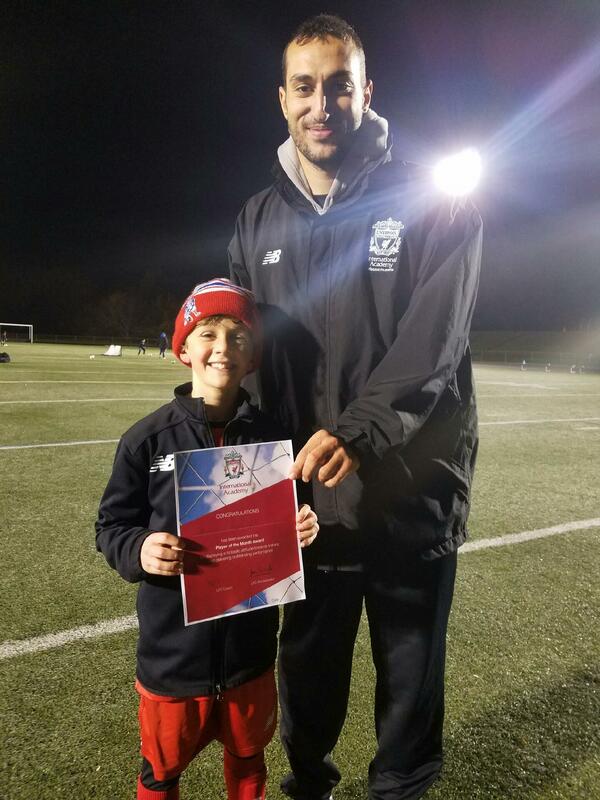 We are excited to announce that October's Player of the Month is Lucas Silva of the 2007 Boys' Red squad. Lucas' coach writes: "Not only is he one of the most dynamic players on the field, but he embodies all four LFC values. He plays with ambition: he looks to dominate his 1v1 situations on both sides of the ball, playing with pace and creativity. He is committed: he works hard to help and his teammates get better every single training. He plays with dignity: he respects the game and his teammates. He cares about unity: along with being one of the most dynamic players on the field, he tries to play the game the right way and is a true team player." September's Player of the Month is Sarah McCormack! Sarah's coach writes: "Sarah is one of the younger '03s on the team with a December birthday, however, she has stepped up to be a leader on the team. She gives everything in practice and in games and shows real commitment to her own development as a player, as well as, to the development of those around her. Sarah displays great dignity in everything she does, taking both the rough and smooth with the same even and thoughtful demeanor."